Airlines to spend $200 billion on fuel in 2019 – Report - Welcome to Transport Day Online!!! One percent of the world Gross Domestic Product totalling $919 billion is expected to be spent on fuel for air transport in 2019 as consumers are expected to enjoy a substantial increase in the derivable values in air transport, says the International Air Transport Association (IATA) in its Economic Report. According to the report, the number of new destinations will rise and number of aircraft fleet worldwide will equally increase by over 1000 aircraft as there will be around 4.8 million available seats by end of the year. While forecasting that the airlines fuel bill will rise to $200 billion in 2019, the IATA noted that the total employment by airlines in the year will exceed 2.9 million, a gain of 2.2% compared to 2018. It added that airlines and their customers will generate $136 billion in tax revenues into the coffers of government worldwide as the industry continues to create high value added jobs. In area of infrastructure, the report noted that infrastructure partners will play an important role in the service airlines provide to their customers, affecting the experience, the timeliness of the journey, and its cost. Consumers will see a substantial increase in the value they derive from air transport in 2019, including stability in what they pay airlines, after allowing for inflation. The number of new destinations is forecast to rise further next year, with frequencies up too; both boosting consumer benefits. We expect 1% of world GDP to be spent on air transport in 2019, totalling $919 billion. This year commercial airlines are expected to take delivery of over 1,780 new aircraft, a substantial investment of around $80 billion by the industry. The trend improvement in average returns (ROIC) has given the industry the confidence to invest on this scale. Sustained high fuel costs had also made it economic to retire older aircraft at a higher rate, but that effect has weakened. Around half of this year’s deliveries will replace existing fleet, making a significant contribution to increasing fleet fuel efficiency, as described below. The fleet is forecast to increase by over 1000 aircraft to end next year at almost 31,000 aircraft; expansion continues as markets have expanded strongly and the outlook remains positive. The average size of aircraft in the fleet is continuing to rise slowly. So by the end of 2019 there will be around 4.8 million available seats. These seats are also being used more intensively, which is critical for profitability in a capital intensive industry – and it also helps to reduce environmental impact. Passenger load factors are expected to rise from 2018 levels to 82.1% on average in 2019. Aircraft are also being flown more intensively. The number of scheduled aircraft departures is forecast to reach 39.8 million next year. 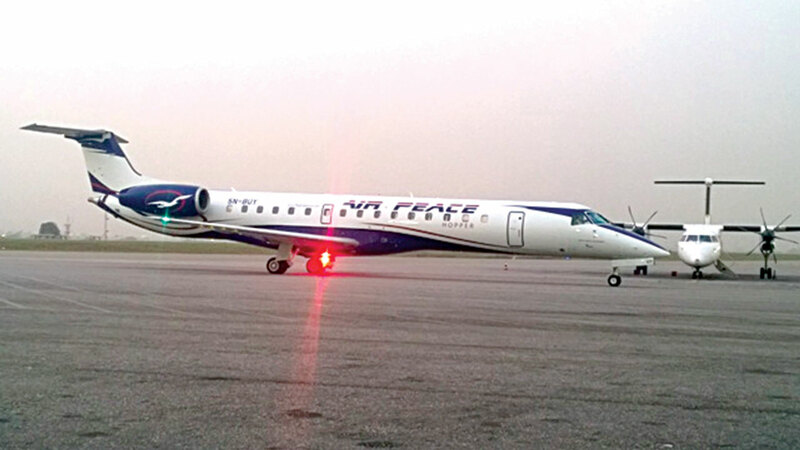 That’s an average of 76 aircraft departing each minute of 2019,’’ the report stated.